Alien: Blackout sounds great on paper. Take the grimy world of the films and boil the terror experience into a tense management game during which you direct survivors, lock doors, and watch for the alien on your motion tracker. Mixing real-time strategy and survival is a smart concept, but Alien: Blackout is a bit too clumsy in execution to pull it all together. Alien: Blackout stars Amanda Ripley, the protagonist of 2014’s dynamite horror game Alien: Isolation. Once again, she’s the sole survivor on a derelict space station. 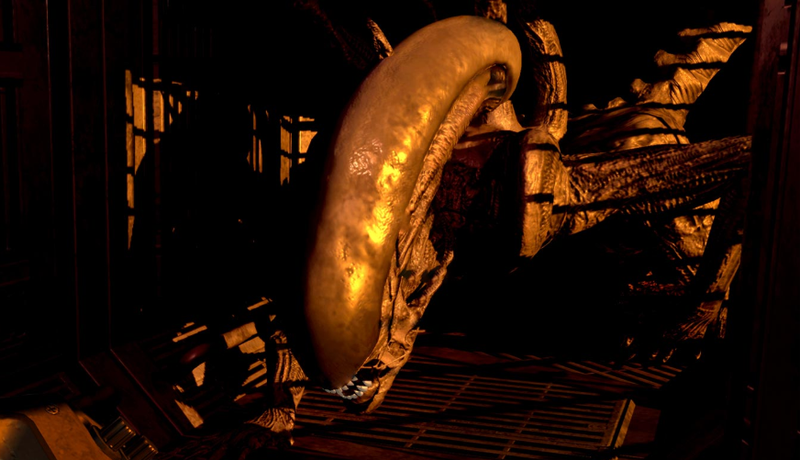 Ripley has evaded the iconic xenomorph and lasted long enough for an investigation team to arrive. From her hiding spot in the vent, Ripley guides the team around and helps them survive while the alien tries to hunt them down. This involves switching between camera views and a map, all while locking doors and powering motion sensors. The easy comparison is Five Nights at Freddy’s, but gameplay here is much closer the 2013 stealth game Republique, in which players guided a young woman through levels while observing her through CCTV cameras. Each level in Alien: Blackout has a goal, be it finding a keycard or a spare part for the investigation team’s shuttle. You control a set amount of survivors and can draw routes for them to follow on a map. As they travel through their planned paths, your job is to scour camera feeds and the map to keep track of the alien and find ways to prevent it from reaching the team. Often this means locking security doors. Levels only have a certain number of devices that can be powered up at one time, so you need to carefully determine and adjust which doors and sensors are powered if you want to keep the team safe. If you’re really unlucky, the alien can even scurry into the vents to attack you in your hiding spot. Juggling perspectives, issuing orders, and making sure you keep yourself safe should make for a tense experience, but it never really works out. It can be hard to select teammates and draw routes on your phone’s screen, and it’s far too easy to lose track of the alien. As a result, Alien: Blackout can often feel like luck. All you need to do in each level is complete the objective and have one team member escape, but because the alien is hard to predict and difficult to track on your map screen, sudden deaths are common. These are shocking at first, but over time, they start to feel too much like they are out of your control, which then makes them harder to care about. Alien: Blackout’s mix of survival horror and team management wants you to consider tense scenarios, like sending off one character as bait so another can survive, but it never makes those moments as exciting as they could be. Instead of carrying on with losses, I found myself tempted to restart levels and brute force my way to achieving perfect playthroughs. Those successes should be satisfying, but they often feel more like lucky miracles. Maybe that’s the point, but I’d rather feel satisfied with my skill than lucky. Still, I commend Alien: Blackout for its experimentation with what an Alien game can be. In the thick of things, managing the team and keeping them safe can be engaging. But achieving successes in the game feels too random and too finicky to hold my attention. Alien: Blackout does nail the look and feel of the franchise, but it stumbles as a game.